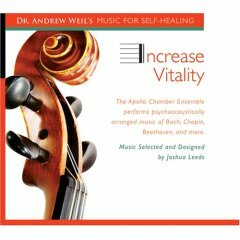 Increase Vitality is an energetic infusion of music to enliven through increasing heart rate, brainwaves and the breath. The first sequence offers a gentle wake-up for recuperation, while the second is more like "aerobics" for the ears with mid-level tempo and milder levels of complexity. The third sequence is very enlivening with especially upbeat selections. Piano, cello, oboe, English horn and flute provide beautiful music that moves from slow and simple to fast and complex. The one hour enlivening experience seems to go by very quickly and you are left feeling energized and ready to accomplish tasks that require mental clarity. These are the types of ideas and quotes you will find in Suzanne's wonderful book. Sometimes we have the image of "Stars" living the perfect life. We imagine them having been born into the perfect family at the perfect time. We sometimes forget that they too are human and have to deal with conflicts in their own lives. 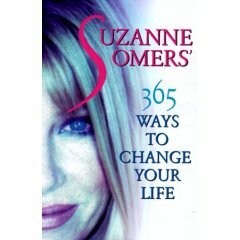 Suzanne Somers tackles these everyday worries, doubts and conflicts. She gives practical answers and advice on how to find joy in your life, turn obstacles into opportunities, learn from mistakes, resolve conflicts with family, realize dreams, and appreciate yourself so that others will too. While many may see her as perfect, she is human just like the rest of us and has a beautiful spirit. Through the pain she felt growing up with an alcoholic father, she learned lessons and realized that she could use the negative aspects of her life to teach her about herself. Suzanne acknowledges that the negatives in life are just as essential for growth as the good experiences. She penned her thoughts on life in 365 daily meditations which I actually read in one sitting. Once you start reading and see all the lovely quotes, you will want to find more of them. At least I am that way and usually read a book in one sitting. This book was not designed to be absorbed all in one sitting, but when I review I like to get a feel for the entire book. I would suggest that you do only read one meditation and one thought a day. In that way you can apply the wisdom in this book to your life. Another way you could use this book is to read it completely and make notes as to what you want to change in your life. You will see that you have already learned so many life lessons just from being alive and listening to your soul. Each of the meditations are followed by a spiritual affirmation. In each meditation she discusses something in life, gives examples from her past, reveals a secret or tells a story of an experience which changed her thinking. Through her words you will notice a love for life and a spirit filled with love. "Today I will do something kind and generous for another human being - not to hear their praise and thanks but just because it feels good to do so." While reading, I had a pen and paper to write down some of the wonderful quotes. I have noticed how people who enjoy life collect quotes. The small, yet profound sentences can truly take hold of your life and will change it for the better. With pillows surrounding my body and my headphones on, I relaxed as my body drifted into an incredibly deep sleep. Never have I woken and felt quite so healed or refreshed. It was as if my spirit was vibrating at a new level within my body. It is hard to explain unless you have experienced this place of peace. I am an avid promoter of massage and natural healing. This to me is similar to a massage - but is a massage for the soul. I recommend the CD version since Dr. Weil speaks for a few minutes and you may not want to listen to this each time. It is easier to forward to the music. Sometimes I do listen to his voice since it is so calming and you cannot learn everything just listening once. I highly recommend this CD if you need physical or emotional healing. He is onto something and I know you will benefit from this relaxing retreat. Have you ever noticed how your mood is instantly elevated when you inhale the scent of a rose deeply and with purpose. The world seems like a better place instantly. Rose oil has a frequency of around 320 MHz. Flowers are beautiful on their own and can lift your mood with their fragrance or with their petals blowing in the breeze in nature. So, what other secrets do flowers conceal? Apparently, they can help us to change our emotional state. The scent of roses is said to dispel anger, or so I have read! In this book, flowers are celebrated as natural healers which can help us return to a healthful state. Our emotions can at times manifest themselves as a health issue and greatly affect our bodies. Dr. Edward Bach (1897-1936) believed that physical illness was a manifestation of emotional imbalance. He believed we can heal and balance the body with nontoxic methods. There are also remedies you can take for sensitivity, disappointment, muscular cramps, skin rashes, recurrent ailments, critical attitudes and bad dreams. Look into other health remedies like Arnica for injuries, Pulsatilla for nasal problems, Cantharis for cystitis, Chamomile tea for a restful sleep and Gelsemium for flu symptoms. Look for a homeopathic brand called: Oscillococcinum for symptoms of the flu in the winter. The theory is that a infinitesimal amount of a plant substance can stimulate the body's healing defenses. The closer you can match your symptom to the remedy, the more effective it will be for you. I suggest reading other homeopathy books along with this one. 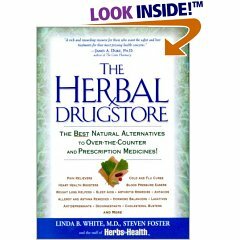 I also recommend "Reference Guide for Essential Oils by Connie and Alan Higley" from abundant-health4u.com as they have the best products I have found so far. Since the beginning of time, people have crushed herbs in a mortar and pestle to extract the healing properties and to mix herbal remedies. Herbs are in fact the best alternatives to over-the-counter medications and they have fewer side effect. I love the fact that regular kitchen herbs and spices can be very beneficial, so I try to add them into the foods I love when appropriate. In this book you will find out which ordinary kitchen spices you can use for health benefits. So, which herbs work better than drugs? Well, I love Echinacea for cold season. They also recommend "astragalus" which is a herb. It boosts your body's resistance to cold, flu and other viruses. Studies have proven that it has antiviral and antibacterial properties. Unlike Echinacea, you can take astragalus everyday. 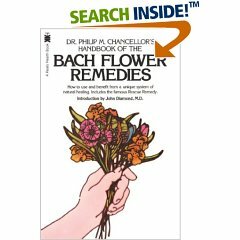 Echinacea is for seasonal use and this book does have some warnings you will want to read. Once you find which herbs you need, you can also look for tea in your health store or buy bottles of the specific herb. You can also find herbs to treat varicose veins, halt macular degeneration, and cure gout with cherries. You will also read why you should not take Tums for calcium. Some interesting information on "chocolate," and more information than I can list. This book will help you to solve over 100 health problems. This is a perfect gift for a friend who is interested in healthy alternatives. Herbs, essential oils and other natural remedies keep me out of the doctor's office. With the popularity of makeover shows, it is no surprise to find books promoting the idea of "getting in shape fast." It only took my husband asking me if I wanted to go on one of those makeover shows to get me thinking I could probably do this myself without surgery and a "lot" of patience. What I worry about is how discouraged some people might become when four weeks pass and they look at themselves in the mirror and see minimal results. For me, it has taken over 24 weeks of serious working out for about 45 minutes a day, not to mention all the salads I've had to eat to get to a point where I feel that I should have started. I've found that diets don't work, but diet counts. If that makes any sense. But with that aside, I think this book is for people who are between 10-20 lbs overweight. Then, you will probably see dramatic results. For anyone who is trying to lose 50 or more pounds, it is going to take much longer than 4 weeks. So, I would say that this book is more helpful for anyone looking for lifestyle changes on a permanent basis. Toss out the "4-week" idea and think "life plan for getting fit and staying that way." Then, you will enjoy this book and it becomes a starting point for major changes down the road. I would just hate to see anyone toss out the wonderful ideas when they don't see dramatic changes in four weeks. The concepts are amazingly well organized. The Seven Elements each have their own chapters. You explore: your workout, diet, spirituality, rest, emotions, body image, work and finally the last chapter analyzes your results. Throughout the pages you will find "quick tips" and "what you'll learn" pointers. The fitness test is helpful to determine your present strength level. The "walk-run" idea is probably not new to you if you have a treadmill, but might interest you if you have only been walking. The walking program is highly detailed and gives you a schedule for all four weeks, day by day. If you don't have a lot of time to workout, you can try the 20-minute workout. There is a helpful chart for major muscle groups. If you enjoy learning exercises from a book, there are quite a few exercises. I still recommend getting exercise videos to learn how to do Pilates, yoga or any other exercise you want to try. You can refer back to the book to see the pictures, but nothing compares to a one-on-one session with a professional instructor on video/DVD. A video will help you keep the intensity going and an instructor will show you what you might be doing wrong. Chapter two delves into the area of diet. I'm going to say that I agree with Shape's approach to eating right. The shape food pyramid puts vegetables and fruits on the bottom of the pyramid and whole grains on the third level. Water is on the second level. This makes sense and I've lost weight following these ideas. I'm less hungry when I drink enough water and my moods are more constant when I drink enough fluids and exercise almost daily. If you are a vegetarian, there is information for your diet which includes suggestions for meat substitutes, etc. The amazing thing about the recipes is the lack of complicated preparation steps and the speed at which the meals can be prepared. There is an intriguing section that shows you how to navigate your grocery store. The Mango and Ginger Cream recipe reminded me of how we mix low-fat sour cream with honey or stevia and a dash of vanilla. Suddenly pieces of fruit becomes an exotic treat when dipped in creamy vanilla bliss. I can eat an orange, banana and apple in one sitting while watching a TV show. That is one of the ways I get in my fruit for the day. The chapter on spirituality encourages you to explore new areas of your life. The "are you starving your soul? questionnaire could be enlightening in itself. The list of "7 people we all need" shows you that you can't just rely on one friend to satisfy all your friendship needs. Whether you try journaling or meditation, there are plenty of ways to feel more nourished. Try yoga! The next chapter should be called: Your sleep number. ;) Although, it also deals with vacations and visualization. Then, you explore body image and finally analyze your results. When you start buying smaller clothes, reading this book is going to be so worth it! Just remember, when you are first working out, you might gain weight. Once you get over that hurdle, the pounds start to drop. It took me years of working out, panicking because I'd gain a few pounds and starting over again to realize that you just have to live through the first 24 weeks and deal with it. Once you get to week 25 things are looking pretty darn good and by then you have been able to apply many of the principles in this book. It is more about lifestyle changes than "I have to be fit in 4 weeks." This book could change your life around, just be patient with yourself and forgive yourself on those days when you break all the rules. The principles are working for me and I'm pretty sure they will work for you.